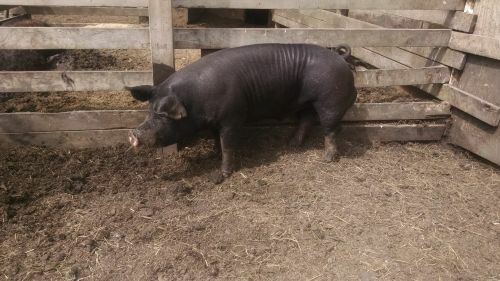 I have a registered Berkshire Boar for sale because I am retiring from pig raising. He is a proven breeder and has excellent confirmation. His name is Mambo and a decendent of the Champion Boar Black Mambo. He is friendly and personable, 15 month old and price is $700.00 firm price. Call Brad at 701-238-9627 for more info.